You know me and data visualisation, but here’s something cool, it’s a website that creates an infographic of your Linked in profile, it’s an invite only Beta at the moment, but it looks promising. 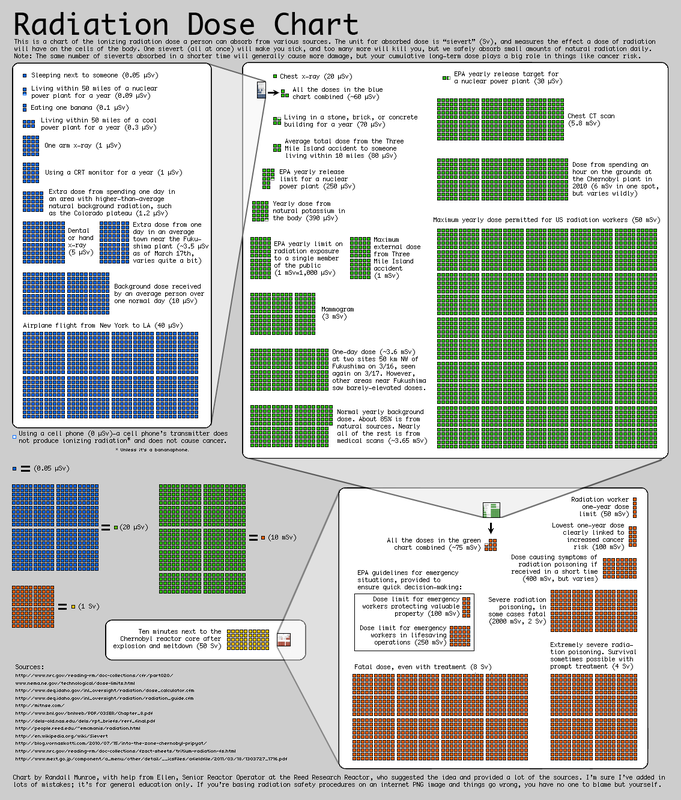 Just saw this infographic on the XKCD blog about radiation dosage, it’s fascinating… plus I never knew that about Banana phones, think I’ll stick with my iPhone for now! I received an email from WordPress a few days ago summarizing my blog for 2010 (below), but upon further investigation what I found interesting was that my page impressions remained the same even when I hadn’t posted anything in the past month! In 2010, there were 105 new posts, growing the total archive of this blog to 282 posts. There were 44 pictures uploaded, taking up a total of 4mb. That’s about 4 pictures per month. The busiest day of the year was April 23rd with 492 views. Which Came First the egg of the credit card? Is The Times Paywall Paying Off? Just how good are the Times and the Sunday Times online figures? Here’s what’s on offer Online access at £1 for a single day or £2 for a week, £10 for a month using the iPad app, if you’re a weekly paper subscriber you get online access for free. Going by the figures released, 100k users are already weekly paper subscribers that have signed up for the free online offer, with 105k additional users, 50k of which have an online subscription. In all honesty you can ignore the first 100k as who wouldn’t take advantage of the online version when it’s free with your paper subscription. Of the remaining 105k only 50% of them are subscribers with the remainder buying daily access. They also state that their unique monthly visitors dropped from 21m before the pay wall to 2.7m last month. But what does 2.7m unique visitors actually mean? Advertisers would rather have 700k pairs of eyeballs a day compared to 90k, but I guess the Times would rather have loyal paying subscribers than be at the mercy of advertisers.